Get your home completely flowing again from top to bottom and inside and out. *FREE camera inspection of main sewer line with ANY drain cleaning service! $185 value for free! *Some restrictions apply. Please call (503) 422-9476 for details. $495 Regular price $667 Savings of $152! 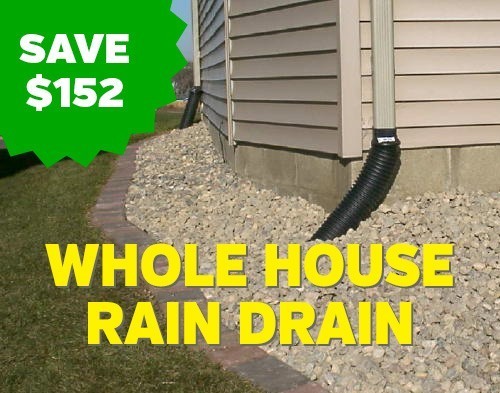 Valid for up to 5 rain drains, additional drains can be cleaned for an additional $75 each. Complete Hydrojetting for a through cleaning to remove ALL the debris from your lines. $385! Regular Price $579. Savings of $221! Several slow drains in your house? 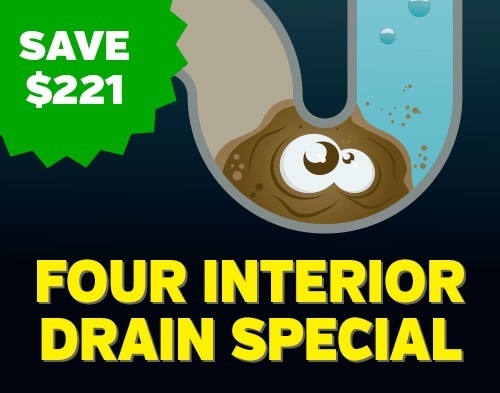 We clean any 4 interior drains (excluding main sewer line) and restore their flow. Special also comes with FREE camera inspection of main sewer line (with cleanout access). $130 Regular price $145. Saving of $15! 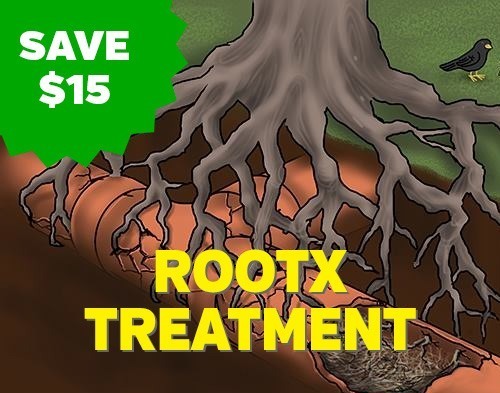 Rootx is a proven treatment to keep those pesky roots from growing in your sewer line and causing expensive damage. Good preventive treatment for older homes. Combine all 3 specials. Save even more! $850 Regular Price $1,391. Savings of $541! 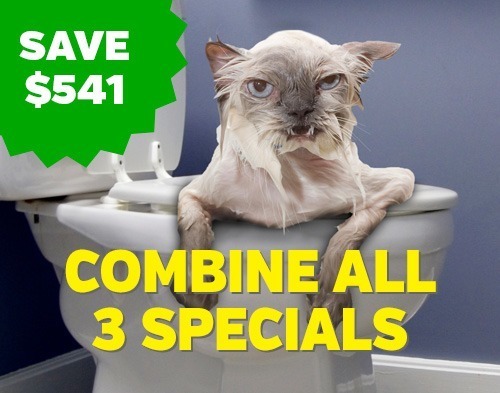 Combine all three specials and save even more!! Get your home completely flowing again from top to bottom and inside and out. Purchase all three specials and save even more.